Save now on your Holiday shopping by grabbing some fantastic vintage vinyl, a few CD’s or even a couple of cool old comics for that hard-to-shop-for someone. 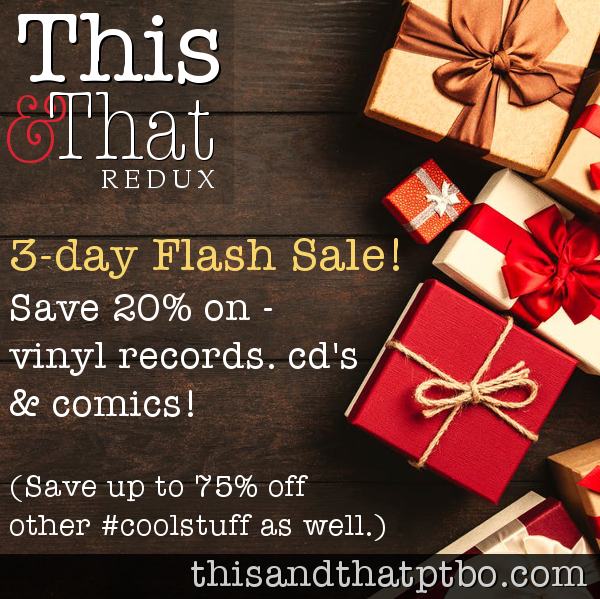 This & That is have a 3 Day Flash Sale from this Friday, November 16th, until Sunday, November 19th, when you can save 20% more off our great prices on vinyl records, CD’s and comics. Many other items are also on sale up to 75% off! Don’t miss this great pre-Christmas opportunity to grab some great bargains before the rush is upon us.